Do you find the man pages boring to read? Do you <Shift-g> to the end hunting for some real usage examples? Probably many Linux users do the same. Sometimes it makes sense, when you don’t need to re-understand the wheel. That’s why you should try the TLDR pages. Continue reading TLDR: man, abbreviated. 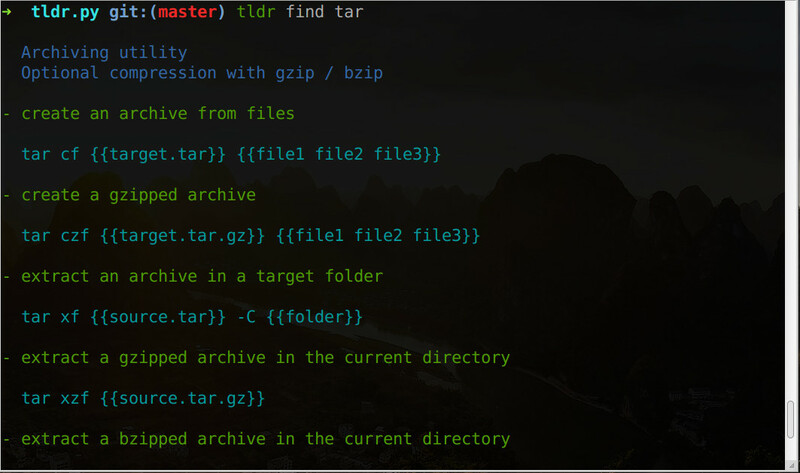 Posted on March 25, 2016 Categories HACKS/UTILSTags command line tips, learn linux, linux shell, useful cli toolsLeave a comment on TLDR: man, abbreviated. We visited the terminal multiplexer tmux is one of our earlier articles. It is an awesome tool for multitaskers. wemux builds on tmux (with all its features) and adds support for multiple-users sharing and using the same terminal sessions. wemux works on a client-server model. One user starts a wemux session as the server and multiple clients can join him in the session. Multiple server instances are also possible. Continue reading wemux: tmux together! Posted on January 8, 2016 Categories HACKS/UTILSTags linux shell, useful cli toolsLeave a comment on wemux: tmux together!